Fine Chinese porcelain jardiniFre, originally used to display lucky gold fish and koi in Ming dynasty era China. 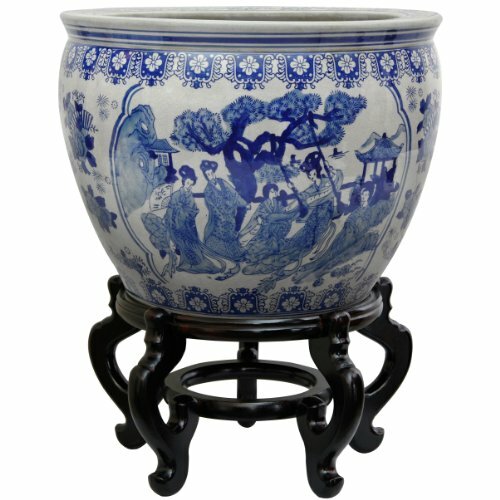 Elegant decorative planter for displaying trees or plants either on a five leg oriental fishbowl stand or sitting right on the floor. Unique Asian design accent at an affordable price.